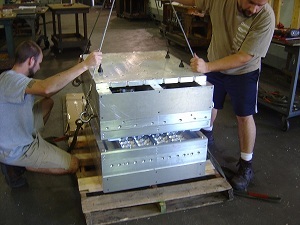 Our experienced engineering staff can design your complete tooling set based on your needs. We can provide solutions ranging from low cost, low volume tool sets to high volume, high performance custom designed tool sets. 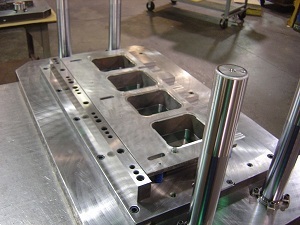 We can offer many tool features that maximize tool performance. Whether your needs are for increased water cooling, creative plug assist solutions, detailed engraving or quick-change components for a family of parts - we have the answers. 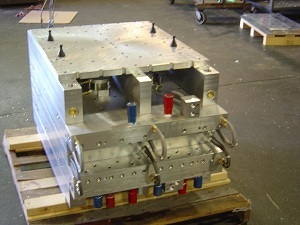 Our trim tooling capabilities are also extensive, and we can offer you a full line of trim tool features and options. We have designed many progressive, 2 stage trim tools that have cut complicated pre-punch operations, as well as full perimeter trims. If you have a difficult part to trim, bring it to us!